The Massachusetts Appeals Court issued an important decision on FHA loan foreclosure requirements in Jose v. Wells Fargo Bank (full decision below). This decision reaffirms the strict requirements that come with foreclosing one of these loans. A Federal Housing Administration (“FHA”) loan is a loan guaranteed by the federal government, aimed at helping lower income Americans buy homes. For purposes of foreclosure, FHA loans have much detailed and elaborate requirements than traditional, private loans. One of these requirements is a “face-to-face meeting” prior to accelerating the loan and foreclosure. This requires the lender to actually meet with the borrower before going forward with the foreclosure process, in an effort to help avoid foreclosure. This requirement has a practical purpose: the federal government backs these loans if the borrower defaults, so the lender should be making every effort possible to avoid foreclosure. Jose v. Wells Fargo Bank concerned one of the exceptions to the face-to-face meeting requirement, which allows a lender to avoid this requirement if it has no offices within 200 miles of the borrower. Wells Fargo argued that this exception applied because there were no branch offices of the mortgagee (the holder of the loan) within this distance from the borrower. Wells Fargo, undeniably, had branch offices of its servicer within 200 miles of the borrower (who is responsible for the day to day responsibilities of administering the loan). The Court rejected this argument, holding that under the plain terms of the law, an office within 200 miles of either the mortgagee or servicer does not allow a foreclosing entity to qualify for this exception to the FHA loan foreclosure requirements. As such, the lender was required to do a face-to-face meeting with the borrower, and its failure to do so made the foreclosure void. This decision is an important win for homeowners, in that it makes this exemption to the FHA loan foreclosure requirements less viable for many lenders, who frequently have loan servicing offices across the state. The decision also reaffirms the need to strictly comply with these FHA loan requirements, and the consequences of a lender’s failure to do so. If you have a FHA loan and are facing a possible foreclosure, contact me to see if I can be of assistance. 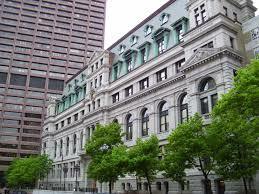 This entry was posted in Massachusetts Foreclosure Law Blog and tagged appeals, court decisions, foreclosure fha. Bookmark the permalink.